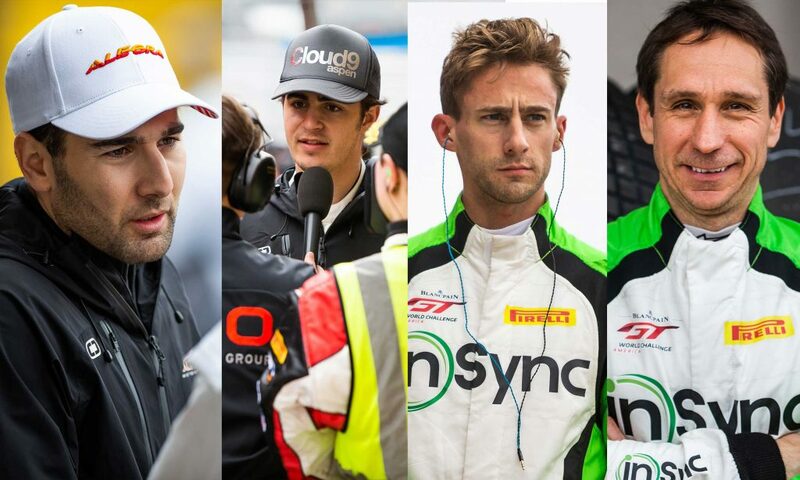 It was a tough start to the 2019 season for Alegra Motorsports – some would say that “tough start” is an understatement. 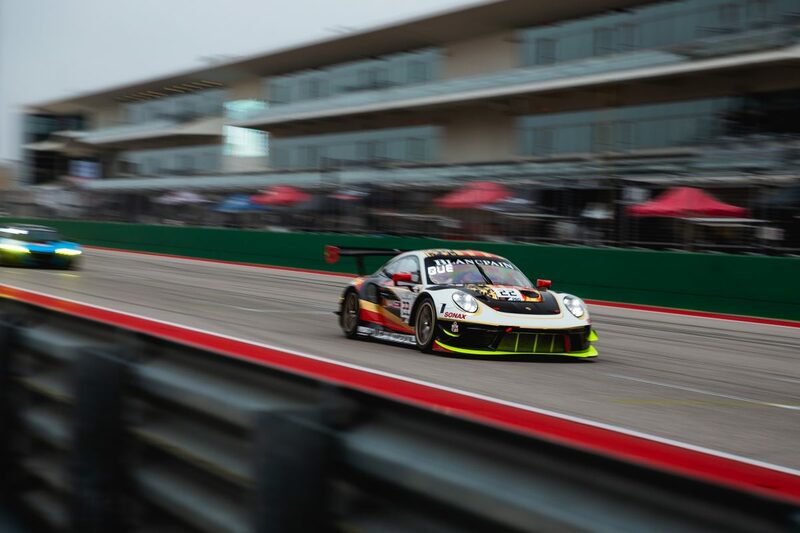 Taking on the unusually frigid temperatures for Austin at The Circuit of the Americas, the team was cautiously optimistic for the season opener. Towards the end of the 2018 season, Alegra was on an upswing, having podiumed in several of the final races in Pirelli World Challenge. 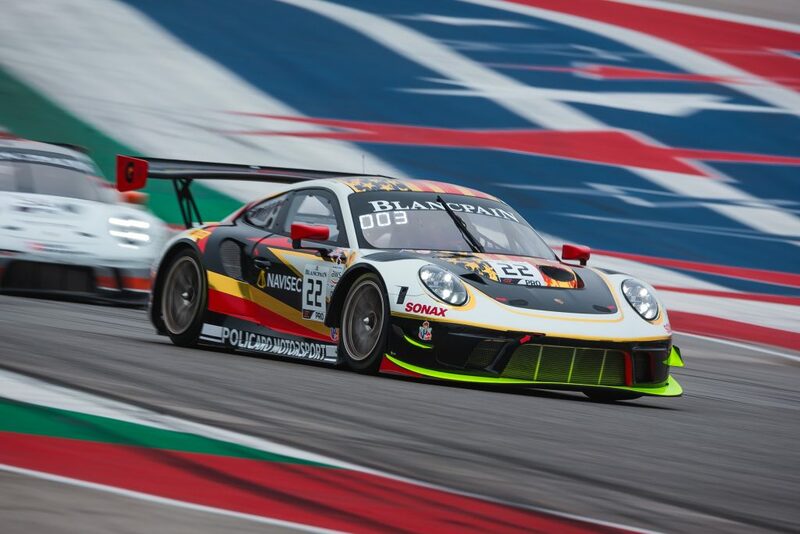 There was a feeling that much of the growing pains of entering a new series were over with and an air of optimism pervaded having two brand new 2019 Porsche 911 GT3Rs and a driver lineup including familiar faces with Michael de Quesada, Daniel Morad at the wheel of the No. 22 car and some deep experience with Wolf Henzler and Marco Holzer in the No. 24 car. Perhaps a better term would be ‘cautious’ optimism, as crew chief and team manager, Tony Ditto was facing some challenges in the days leading up to the first two races. At the top of that list of problems was the relatively late arrival of their second 2019 Porsche 911 GT3R. The car arrived only two weeks before the race weekend. Moreover, the first time that car would see any track time was during the first practice. Having to dial-in a car during the race weekend will challenge any team. Having to do it under dampening conditions that seem to have been imported from Scotland, well, that makes it that much more challenging. As challenging as it may have been the team dug in and prepped each car for their first outing of the season. Qualifying was a mixed bag for the team. Conditions were damp meaning that as the track dried up qualifying times improved. The last few cars on track would have an advantage with more traction as a result of the previous cars drying up the track. This year’s qualifying format consists of two sessions allowing each driver a chance to qualify. The team managed to qualify well for race one and would find themselves mid-pack for race two. Unlike the start of the first race of the season in 2018, the beginning of race one for 2019 was uneventful. All the competitors made it around turn one without major incident, and cars fell into line and started to click off laps. That uneventful nature changed shortly after the first pitstop of the season. The no. 22 car found itself behind its sister car along the esses, and with more pace attempted a pass. The no. 24 car gave a little room which resulted in it taking a wider line around the corner. Usually this wouldn’t amount to any significant drama; however, the corners at CoTA are home to some nasty sausage curbs. The no. 24 car hit the curbs head-on, launching its nose in the air as if it was a jetliner taking off. Shortly after, the vehicle seesawed, and the back end slammed down directly on the sausage curb cracking the engine. Wolf Henzler managed to keep the car out of additional danger and nursed it back to the pit. It was clear to the team that the race for the no. 24 car had come to an end. The no. 22 car battled on and would also face an issue on the final lap of the race. The team regrouped back at the garage, and while their mood was sombre, a spark of hope reminded. With the no. 24 car out for the weekend (lack of parts for the repair) the team put their focus on the no. 22 car. With some adjustments to the setup, Daniel Morad and Michael De Quesada took to the track starting P11. The duo had put the previous day behind them and looked to the race ahead. Like race one, the start got underway without incident with Michael climbing a few places. As the race wore on, the Bentleys, which have traditionally done well at CoTA, started to make gains on the no. 22 car. For a good two minutes, a thrilling batter between Michael and the no. 9 Bentley ensued. Multiple passes were providing oohs and ahhs from the crowd as they watched on the jumbo screens trackside. Ultimately the Bentley had more pace, and Michael allowed the car to pass. Fifty minutes into the race the pit window opened and Daniel jumped into the car and started to attack the field. The no. 22 car would find itself in P8 with just over ten minutes to go. Lady Luck eventually decided to show up as a full course yellow allowed the cars to bunch up. With under ten minutes on the clock, it was now or never. On the restart, Daniel managed to pick up a few spots and with only minutes remaining, pushed his way to, and crossed the finish line in P5. There was plenty to be upset about this weekend, but through all the adversity several bright spots emerged. Daniel Morad and Michael de Quesada drove an outstanding race two with solid and consistent lap times, and the no. 22 car feels quick. More importantly, the team never gave up and every step of the way they supported each other. We’ve got race one and two in the books and are looking forward to redemption at VIR for rounds three and four. MICHAEL DE QUESADA TO JOIN DANIEL MORAD IN SECOND ALEGRA PRO-PRO ENTRY INTO 2019 BLACPAIN GT WORLD CHALLENGE ENTRY.